If you are arriving in Parma by train you have to know that to the Tardini it is almost a 20 minutes walk. You can also make it a bit longer passing thought the beautiful city center and piazza Garibaldi then turning into via Repubblica. number 9 (direction via De Chirico). During match day, due to the security traffic block, the stop for all these busses should be “Barriera Repubblica”, close to “Barilla Center” mall, where there is a big fountain in the middle of the road and from where it is 3 minutes walking to Tardini. Anyway tell to the driver or to people that you are directed to the “Ennio”. To come back from Tardini, traffic is usually quite busy and it is better probably going by feet. In case you have few time to catch the train you could call the Taxi at this number: +39 (0)521252562 Better reserve it in advance and giving “Barriera Repubblica”, around the fountain as a meeting point, since it is already in the way to the station. 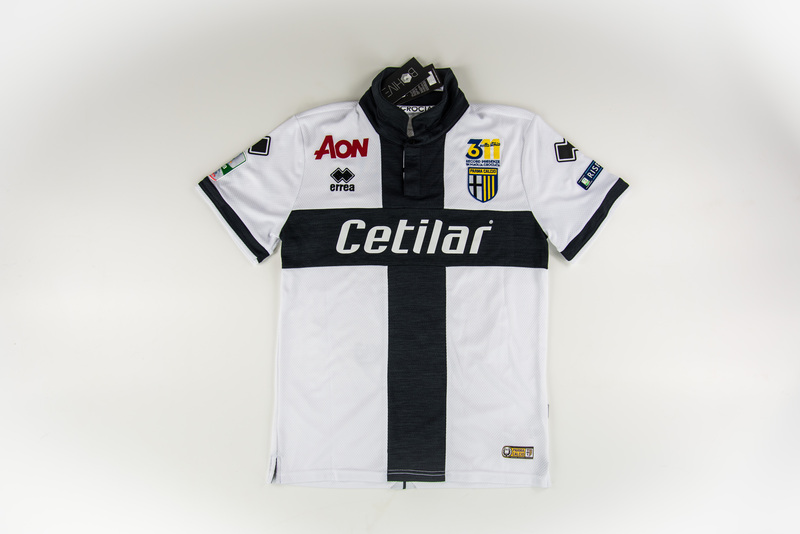 Parma collectors, this is big chance to get a worn armband (or anyway a personal Lucarelli item) with an inscription from the Captain. Il mestiere del Capitano documentary production company put on eBay a lot of material received directly from Alessandro Lucarelli in person almost a month ago in Collecchio. 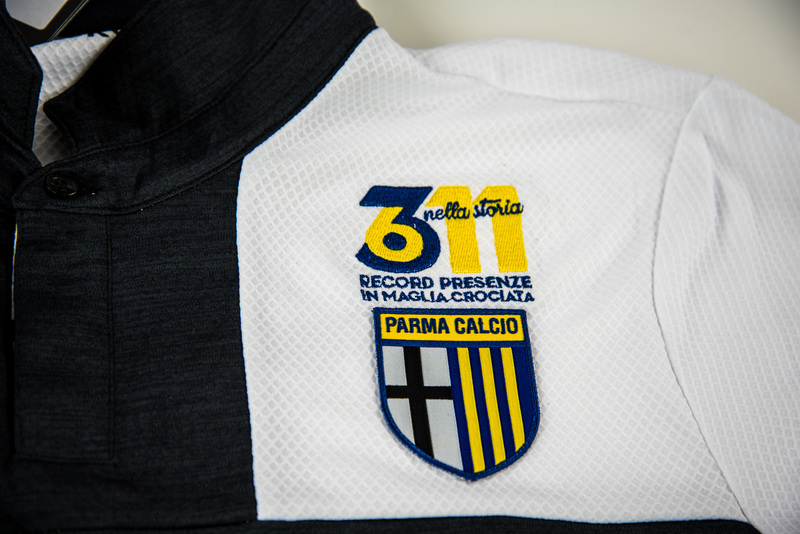 All this campaign is in support for the Documentary project on Lucarelli felt and rebirth with Parma Calcio. If requested, Lucarelli will write an inscription to the buyer on the item. 250 matches celebration print (70×100 cm), given by Nevio Scala to Alessandro Lucarelli on 22nd November 2015 before Parma vs Imolese match. Under request, Alessandro Lucarelli will write an inscription on the item. 311 matches celebration embroidery customized “Crociata” n° 6 jersey. 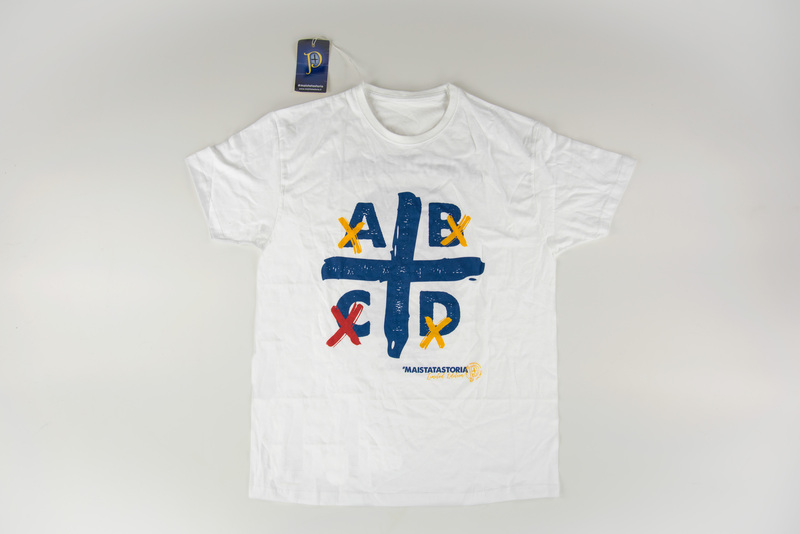 Size L, unused. Under request, Alessandro Lucarelli will write an inscription on the item. 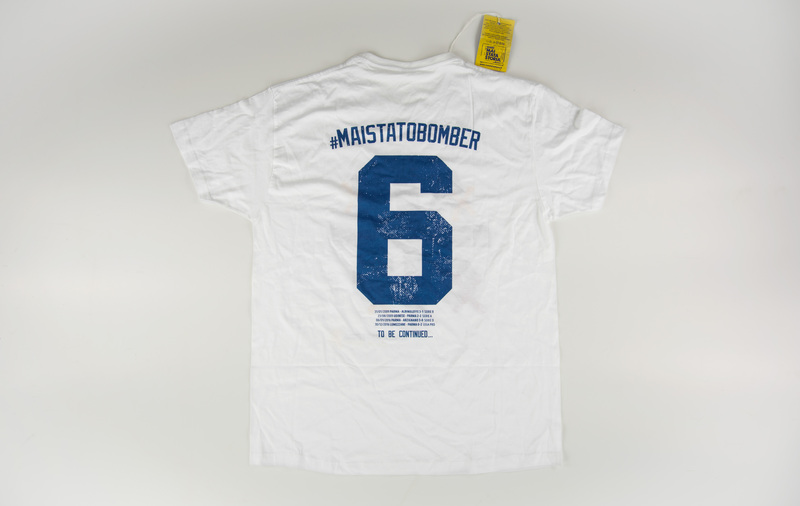 #maistatobomber, size L, unused t-shirt made to celebrate the record of scoring in 4 different categories with Parma. Record conquered on 30th December 2016 against Lumezzane. Under request, Alessandro Lucarelli will write an inscription on the item. 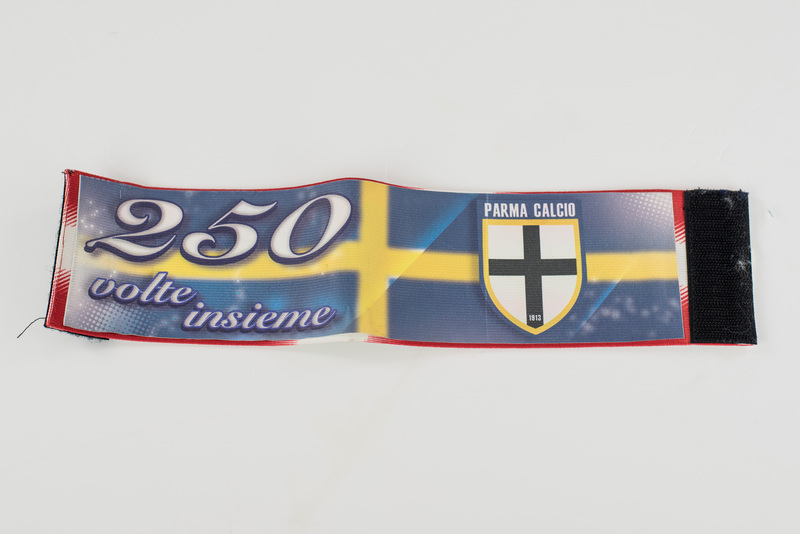 Personal armband for 250th match with Parma worn during Parma vs Imolese in 2015. Under request, Alessandro Lucarelli will write an inscription on the item. 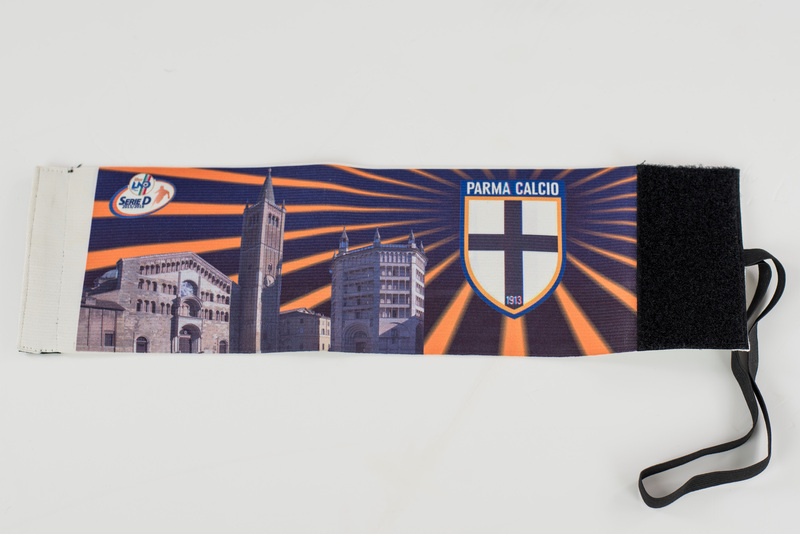 Personal armband for 311th match with Parma worn during Parma vs Ascoli in 2017. Under request, Alessandro Lucarelli will write an inscription on the item. 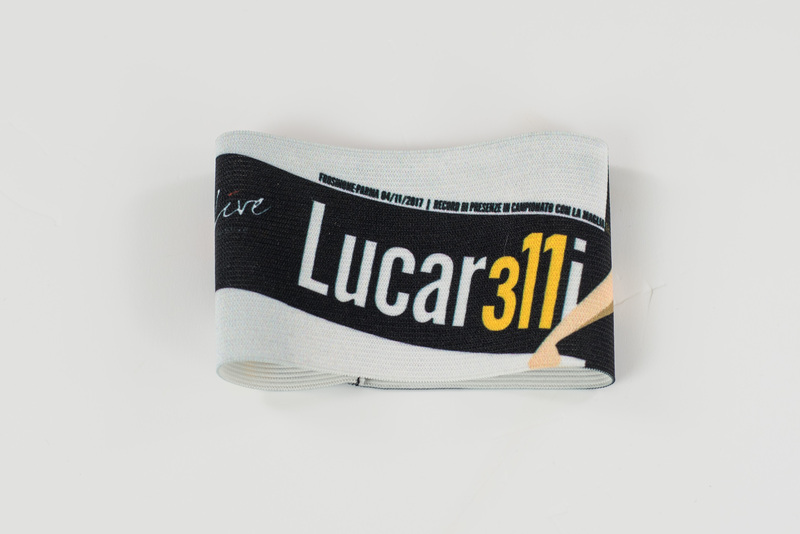 Personal armband “Lucar311i” worn during 2017/18 season and designed by illustrator Osvaldo Casanova with the logo “Lucar311i”. Under request, Alessandro Lucarelli will write an inscription on the item. 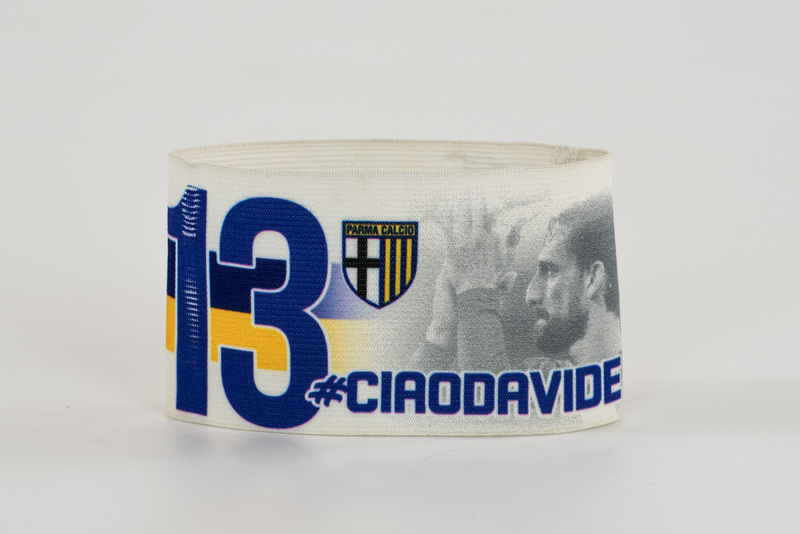 Personal armband dedicated to Davide Astori worn during Pescara vs Parma on 10 March 2018. Under request, Alessandro Lucarelli will write an inscription on the item. 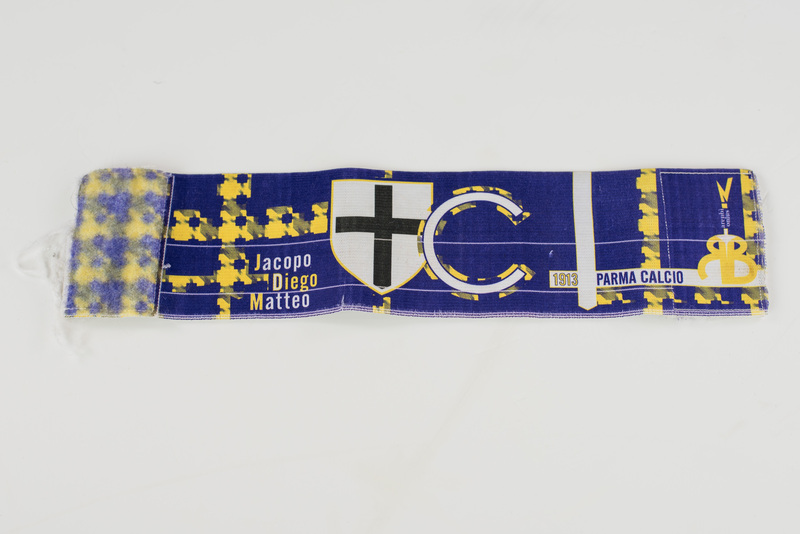 Personal armband dedicated to Captain’s sons Jacopo, Diego and Matteo worn during serie D season 2015/16. Under request, Alessandro Lucarelli will write an inscription on the item. 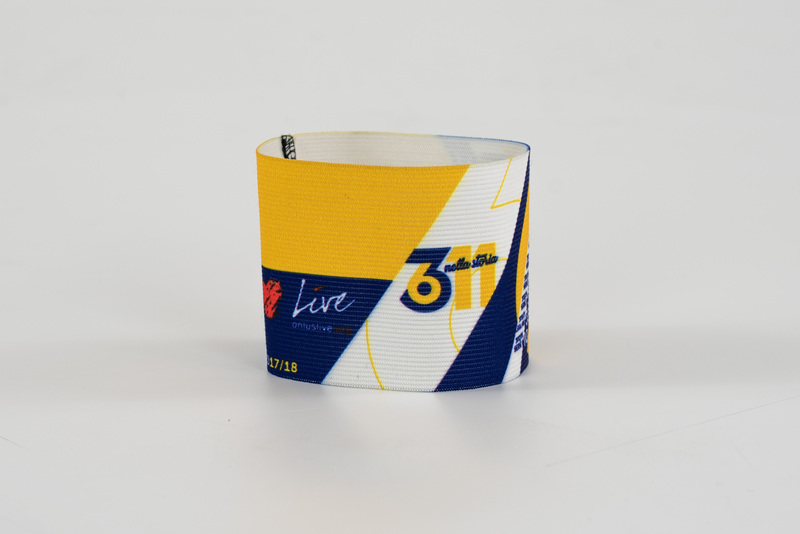 Personal armband dedicated to Parma town worn during serie D season 2015/16. Under request, Alessandro Lucarelli will write an inscription on the item. Yesterday during Parma vs Torino in Tardini, Boys Parma 1977 celebrated their friendship with Ultramarines Bordeaux 1989, that last since more than 20 years, with a special choreography. If you were asking yourself what was the choreo about, now you know it. Joan Vilà Bosch, almost 50 years experienced Barcelona Masia former Methodology Director, one of the most important contributor to blaugrana program for young players training and education will be for the first time in Italy for a 2 days clinic lesson. On 9th and 10th April, in Parma, the author of methodology and style of play of Cantera will teach many themes like strategical development, young players training and education and a global planning of a Football System. It will be a great chance to discover the Barcelona methodology given by Parma Academy in association with Parma Calcio Youth teams. We are sure many of you were hardly waiting for this. Finally the date and time of last Parma matches of this season are out. And they are quite good because home matches are on Sunday at 3 PM that means we avoided risk for Monday night match: the only Monday evening (!) match of the season will be the one in Bologna. Round 38 (Roma vs Parma) will be decided last minute, after round 37th matches end. We know many of you are coming for both home matches, especially with Sampdoria, because of the gemellaggio between the two Clubs. We suggest to contact us right now – by email, Twitter, Messenger or Whatsapp – in order to let us have time enough to organize better reception possible for you and to organize fans meetings and maybe some special “extra”. Com’on Crusaders, season is about to end, don’t wait too much, book the flight, Parma Family is waiting for you. On Sunday 31st Parma vs Atalanta match day, Boys Parma 1977 will realize a special choreography dedicated to Matteo Bagnaresi in Curva Nord, the beloved Boys tragically passed away 11 years ago today. After the match all the fan base is invited to Casa di Matteo headquarter, the association founded by Matteo Bagnaresi parents in via Saragat 33 and that we talked about for the Ultras and social network meeting. The low price for away fans area policy, the project we talked about past days and that was tested for Parma vs Atalanta tickets got a great answer by Atalanta fans that will fill all the Tardini away fans area. In few hours, thanks to low prices (15 euro normal ticket, 5 euro for under 14) and to the well-known passion of fans from Bergamo, the 3800 tickets went sold out. We hope, as said, this will be the beginning of a spread routine also in other stadia. Who is coming to Parma for the match and need some advice for tickets or fans meeting, please contact us via mail or WhatsApp. Helgi Kolvidsson, Icelandic Leichtenstein coach, is a Parma fan due to what reported by Goal.com. As he said during press conference before Italia vs Leichtenstein match of Tuesday 26th march (8:45 PM CET) that will be played in Tardini, he has already been 5 times in Parma, last one when Crusaders played in Serie C, two years ago. A special match for him then. Welcome back in Parma, Helgi! If you have time, send us a #travellingparmigiani picture, it would be really precious for our photoalbum. Parma Primavera (under 19), will play today at 2 PM CET against Genoa in Viareggio Cup Semifinals, one of the most important competition for under 19 teams in Italy. If in your country, due to TV rights, the streaming is not working you will probably watch it on Parma Calcio Youth Division YouTube Channel next days, where you can find full Quarter Finals winning game against Fiorentina. This result has been surprising since Parma is in low ranking in Primavera 2 league but Fiorentina is fighting for the title in Primavera 1 league and was one of the most accredited for the Cup victory. To be up-to-date about Primavera leagues we suggest you to follow Mondo Primavera www.mondoprimavera.com an important source – unfortunately only in Italian – for youth teams infos. Kamp Seedorf is a street artists collective that realizes football focused artworks. Recently they realized in Stationsplein, Haarlem (the Netherlands), close to the train station, a big iconic Hernan Crespo. If you are around there look for it and send us pictures! For Dutch fans we remember you we have a proper Facebook group for Belgium, The Netherlands and Luxembourg.